Friends and families in the Charleston area will begin to look for all the local parades, neighborhood activities, downtown decorations, and the annual Holiday Festival of Lights at the James Island County Park. 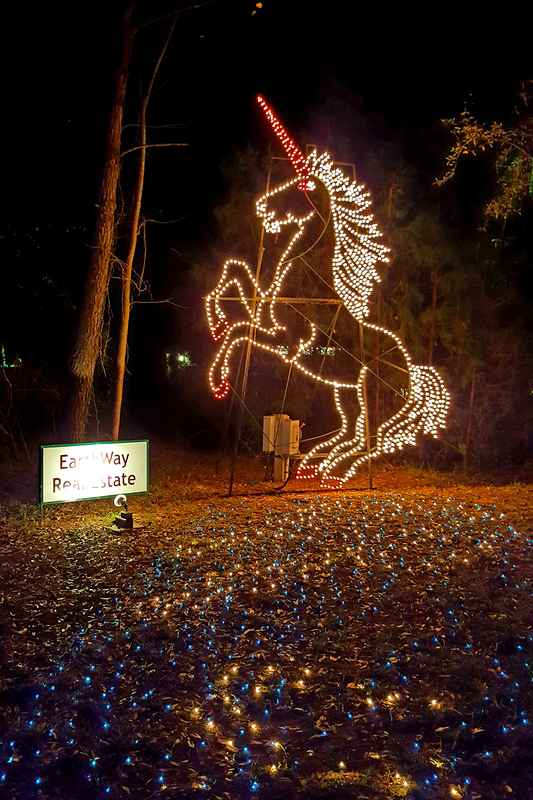 This will mark the 29th year of the Lights, and EarthWay is one of many proud sponsors! The Elegant Unicorn is our contribution to the many, many beautiful and fun displays. Happy Thanksgiving and Happy Holidays from all of us at EarthWay Real Estate!